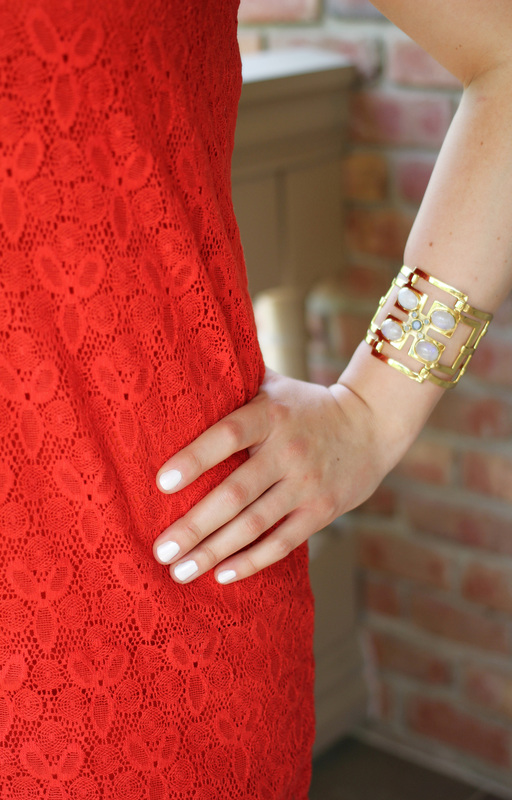 I love to accumulate “easy-chic” dresses, that exude comfort, and don’t require many accessories. They serve as a major go-to when sunny weather hits–if you’re in a hurry, it can easily be thrown on without much thinking required. 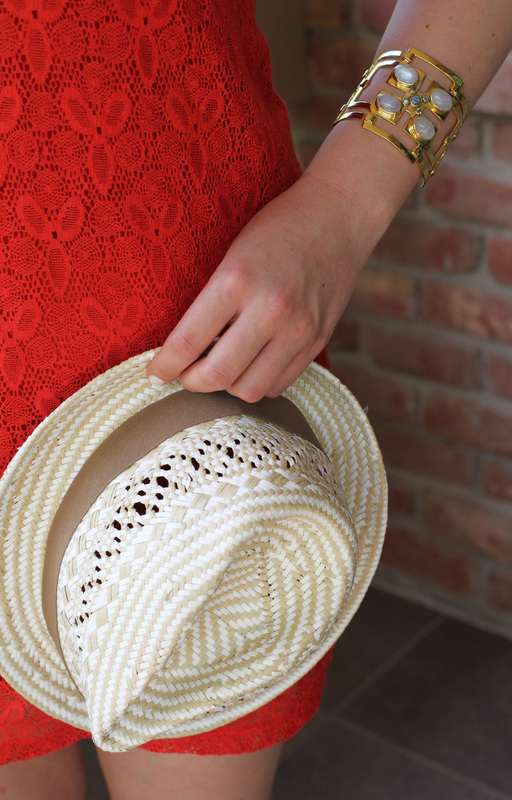 Basic hues and styles are essential, but bold color and texture make a great hybrid–going from beach to brunch. Being on the shorter side, this tank dress makes a great pool/beach coverup, pairing well with any hue. On February 10th, the most exciting collab to hit to Target, thus far, will be available online and in stores. I can’t express my anticipation for this designer collection. The tropical prints, bold hues, and perfectly tailored silhouettes are totally swoon-worthy. I plan on stocking up on these sleek ankle strap sandals in multiple shades (hello, Summer!) Cutout sandals are right on trend this Spring, I can’t get enough of the chic footwear. The fit and flare frocks are oh-so-fab! 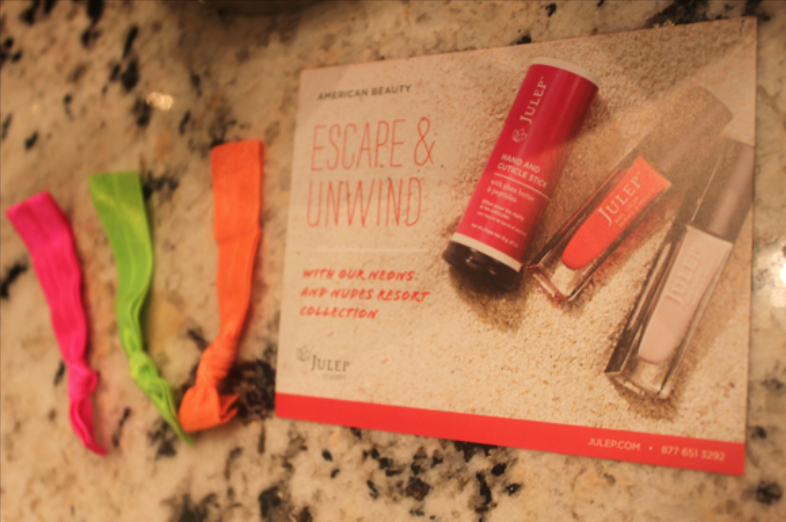 The collection’s inspiration has me dreaming of sun and sand..
I’m loving the theme of this month’s American Beauty Julep Maven box. Spring nail trends range from chic neutrals, to bright hued neons (and every eye-catching embellishment in between.) The contrasting duo is the perfect pair to add a pop of color, or soften a handful of neon. These fun “Swatch Me” stickers a great for showing off any deceiving or sheer colors, before applying. Since switching over to Twistbands, I can never go back. The snag-free hair ties leave minimal hair kinks and keep hair damage-free. This neon colored trio is a fun way to bounce into Spring. The Hand and Cuticle Stick is a great size to throw in your handbag mess-free, unlike other cuticle oils. The rich shea butter keeps dry Winter skin moisturized. 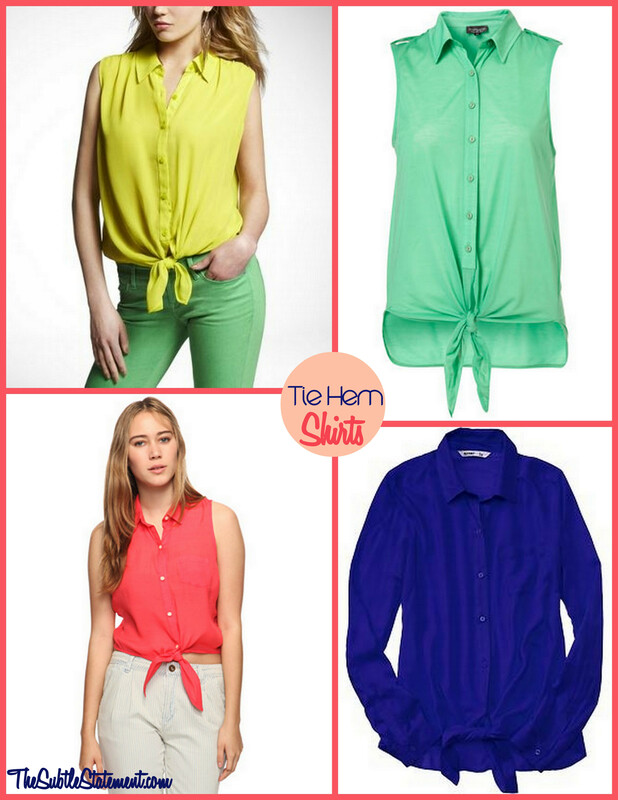 Fun and flirty tie hem tops are a stylish pairing to the season’s colored denim and floral pants. A carefree alternative to a basic tee. Jessica Alba and I share a mutual love of colored denim. When I bought my first pair of red denim jeans, it immediately became an addiction. From then on, I had to build a wardrobe of every color. I’ve recently started acquiring my Spring additions of pastel shades, and sherbet hues. What makes the Spring version even better, is that they’re cropped! Cropped jeans work well with flats and look especially chic with heels. My favorite pairing is neon pink and black. What makes colored denim so effortless, is the fact that you can easily pair them with all neutrals. They’re a simple, instant wardrobe update. Have you jumped on the colored denim band wagon? 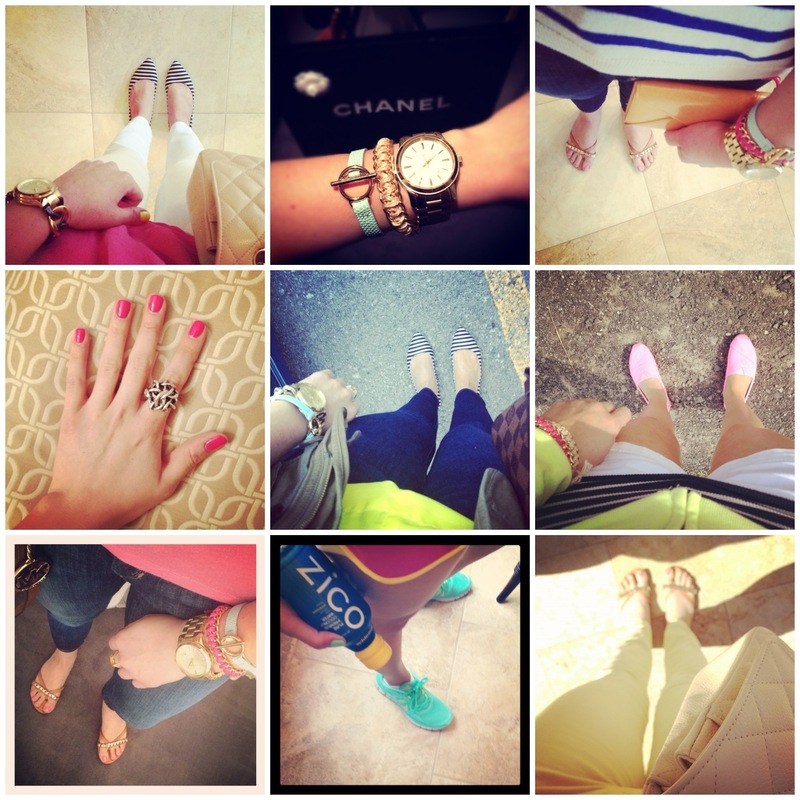 If you are trying it for the first time this Spring, choose an inexpensive version of the trend. Check out the countless varieties and colors below from ShopStyle!